He is very good at it. As the principle partner in Logan and Underwood, Safe Designers, he makes some of the best safes money can buy, safes created to give crooks a chance to "break their teeth" on it when trying to get at the contents. He has been at it for a good many years, having already earned a name for himself during WWII when MI-5 had need of someone with his talents and looked him up. That incident, recounted in a flashback, nearly cost him his life but did increase the regard in which he and his talents were held. After the war, Logan used his knowledge of safes and locks and the skills needed to keep things secure to form a partnership with his friend, Bill Underwood. That gentleman was the smooth talker of the two and able to smooze his way into decent contracts that kept them both financially comfortable. Logan, on the other hand, did not care for the limelight and let his partner handle conferences and conventions and dog-and-pony shows whenever possible. To Logan was the pleasure of building the better mousetrap, or in this case, the more burglar-proof container. Being a gifted locksmith was one thing but being an even better lockpicker was another and that skill, while not one that Logan particularly tried to play up, was one that also brought in business, all legitimately. When a company suddenly found itself with a safe and no combination, through death or dismissal or just stupidity, it was Logan that everyone said to call. Logan's almost uncanny knack for getting the most stubborn of safes to open was nearly legendary and that did not hurt business a bit. Having served in WWII, Logan is in his early to mid 40's at the start of this two-book series. He is married to the far younger Althea, a 23-year old with whom he is madly enamoured. At the outset of the first book, that marriage was a tad shakey but with the events of the first adventure, it solidified. The first book is not a spy adventure per se although the reader would be hard pressed to know that considering the mysterious goings-on and double dealing that takes place, all while the protaganist is missing three weeks of his life. 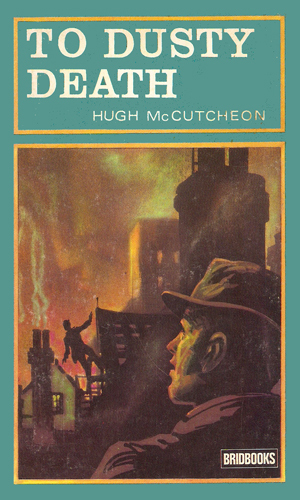 It is often listed as the last book in the author's Inspector McKellar series though the main character of the book is Logan throughout. The second book is most assuredly a spy thriller. Awakening with a headache and no memory of the past three weeks, Richard Logan begins to piece together recent events and the likelihood that he was a party to a major theft and possibly murder. 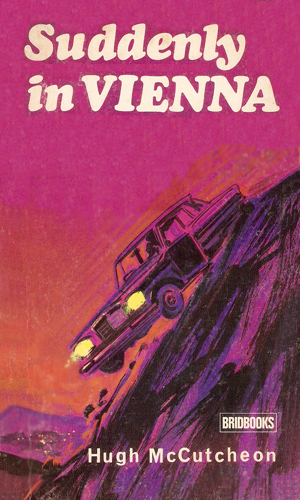 Thinking that Richard Logan might be able to recognize the jewel thief turned spy, MI-5 sends Logan to Vienna to help track him down. Logan takes his wife alone because it seems a simple job but things turn sour fast, especially when he reads of his own death in the paper. Richard Logan wakes up at an old bomb site, unable to remember anything from the past three weeks. He then learns that the private eye his wife hired to find him is dead and the safe that he installed for a rich man has been burgled. I vacillated a bit as to whether this two-booker belonged in the collection. The first book felt so much like a spy novel from the late 50's that I was not sure until the end that it wasn't. 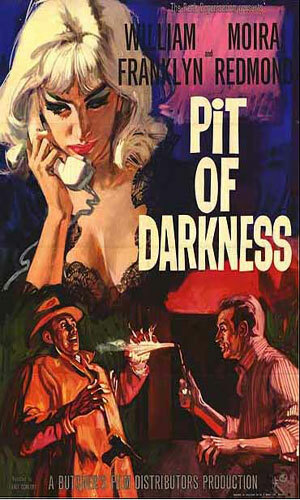 Even not being, though, it was still really good, a British noir adventure. The second fit, though, and after some arguing with myself over it, I chose to include it because the atmosphere is presents is so much fun to revisit. It is truly a shame that the author only wrote these two books about Logan. Granted, there might have been too many more places he could have taken the series but there had to be at least one or two more places where someone with his safecracking abilities could fit in.